Sometimes I am shocked at how difficult life can be…. I am writing this blog with a heavy heart, from my car… traveling home through the Canadian Prairies… while at home a funeral is going on… a funeral I should be at but cannot make… My family & I left home just over a week ago on our way to Western Canada for a couple of weeks to visit some friends throughout Alberta & then off to Northwest Territories to see a young adult from Southridge in Yellowknife. About 1/2 way through our drive we couldn’t find a room… severe flooding in the mid-west had all the hotels full… the night got later and later.. at 2am my phone rang. No call at 2am is good news…. Actually Im not sure if there is anything more dreaded than a 2am phone call…. Before you even answer your heart begins to beat fast… its just the knowledge that something very, very bad is about to be known…. One of our best friends Dave was on the other line when Geoff answered… then bam… the news… one of my youth girls, Arlynne Holyer, who had just turned 16 a few days before, had been killed in an ATV accident. 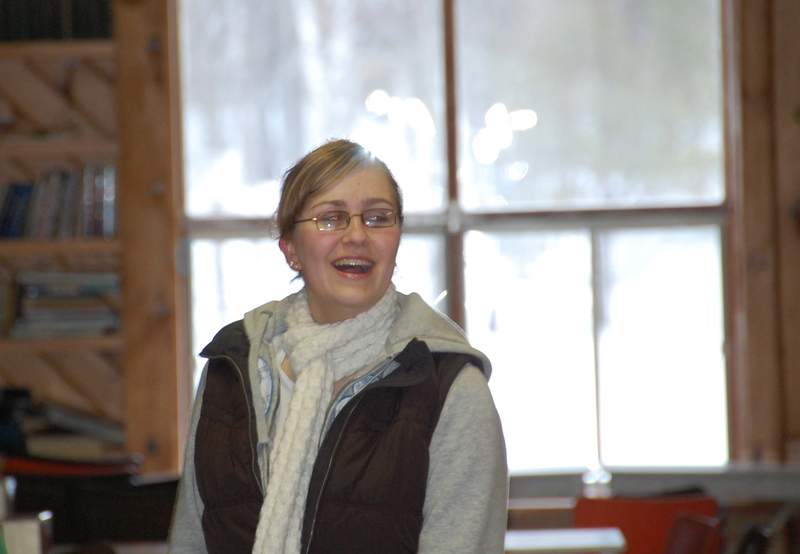 She was in the far north of Ontario on a ministry trip for the summer. Earlier that day she had been out on an ATV delivering flyers to people inviting them to attend a bible study. Details are not needed… bottom line, she was out serving God and she died. Sounds harsh, but that is the bottom line. I will say, the news struck me speechless. I had just emailed her… for her recent birthday… telling her how proud I was of her… Now she was gone? I thought instantly of her family… as a mom, my heart broke instantly… We continued to drive…. I cried quietly, I prayed, Geoff prayed…. what do we do, do we turn around and go home? Do we carry on? My boys were quiet… very quiet…. all the youth at Southridge take a very active part in the life of my boys… All part of the “It takes a village to raise a child” ideal… they all are so great with my boys and they know most of the youth very well… tragedy hits them too… very hard… At 4am we finally found a room… Out of sheer exhaustion we all slept. In the morning Geoff and I talked and both felt that we should carry on. There were people counting on us out West too, and somehow we just felt deep down that we were supposed to carry on. Basically I cried quietly inside and out several times this trip…. I didn’t understand why I had to be so far from home when my other youth girls at home would need me and quite frankly I needed them just as much. After a short time in the Rockies it was clear why God wanted me to carry on. I needed the time to grieve.. my way…. to get myself in order before attempting to help anyone else. One afternoon we stopped at a very beautiful place on Medicine Lake. The boys wanted to hike and swim. I decided to stay behind and I just sat on a rock for 2 hours alone, staring at the mountains. I cried, I prayed, I reflected and I got angry…. I felt God there, holding me when I cried and listening when I was angry… I felt peace come over me finally. It was then that I felt it was time to cut the trip short and go home to my youth family. So with heavy heart but inner peace, we cancelled all the rest of our visits, postponed Yellowknife for a while and began our trek home. I’ve had so much time to think on this trip it isn’t funny. Hours and hours in the car… hours of reflection on the mountains… its been an amazing journey. Arlynne’s death weighs heavy on my heart but I rest easy in the comfort of knowing she is with God. I sat one day in the car and re-read 2 years of text & facebook conversations between me and her… Our relationship was a complicated one. Arlynne of 2 years ago was nothing like Arlynne now. I have to admit, 2 years ago, she drove me crazy. She was kind, thoughtful and loving, but defiant, rebellious, strong willed, stubborn, and dramatic . But there was a beauty inside of her that kept me trying so hard with her. I was very drawn to her instantly. If I am to be truthful, I would say that she reminded me so much of myself at her age… Over the past year, Arlynne grew up… she found her faith and her passion for God.. She served and she worshipped with everything she had… She laughed, she smiled and she danced with a beauty that I will never forget. I will always picture her dancing her heart out to “Happy Day” at youth. I think it was after she left my group that our relationship blossomed into a mutual love and respect for each other. I think then she could stop seeing me as an authority figure of sorts and begin to see me as a friend who loved her. She began to talk with me differently, better… more real and honest. I will miss her… her huge smile bounding toward me every Sunday at Church… the huge hugs every time we saw each other… hearing her giggle during winter retreat… the random texts… the talks, the everything…. I have to say, watching her grow over the past 2 years has been a privilege I will cherish forever. Watching the different youth communities, from afar, band together through this tragedy has been a thing of beauty. They have all been there for each other and have now committed to carrying on Arlynne’s passion to serve others in the name of God. I am so truly proud of all of you… loving one another through this! I personally do not believe God caused Arlynne’s death… I don’t believe God is there with his cosmic lightning bolt picking and choosing who dies… but I do believe that God knew it was going to happen, and wrapped us all in that ‘blanket of grace’ that Bob spoke to me about a few weeks ago (see previous blog) and fills us with His presence so we can feel peace. His ways are beyond our understanding and that is so hard sometimes but He is there to help us through times like these! He is ever faithful! 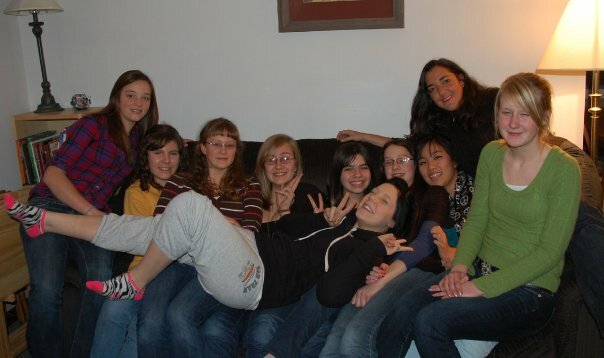 One major thing Arlynne’s life and death has taught me is that these young people are such an integral part of my life. I love them… fiercely! I would fight for any of them with every fibre of my being…. I need them, just as much as they need me… They are a huge part of my family, and I feel so honoured to have the privilege of watching them grow up and walk beside them through their tragedies and triumphs! There is no question that youth is my ministry… and I love how God has partnered that into our vision for Guatemala. My life is so amazing that I get to serve both youth and the people of Guatemala together and intertwined at times. My one regret is that Arlynne will not be joining us in Guatemala this year as she had hoped to… but she will be there in my heart and the hearts of the other youth that will be joining us there to serve. One of my favorite songs is … I can only imagine…. Posted on August 7, 2011, in Guatemala Missionary, Uncategorized and tagged celebrate life, grief, mission, Youth. Bookmark the permalink. 5 Comments. She was going to ask her mom when she got back, I remember… But yah your completely right 🙂 Thanks for the reminder, Keep me posted on EVERYTHING please and thank you.